Is the world unfinished? 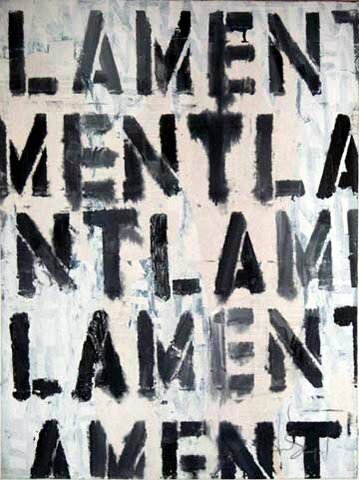 This is the title of Jürgen Moltmann’s 2011 Boyle Lecture, given on 8 February 2011 at St Lawrence Jewry, London, and subsequently published in Theology. Herein, Moltmann explores interactions between theology and the sciences, the ‘readabilty of the world’, and the non-contradiction that exists between the empirical concept of nature and the theological concept of creation. Moltmann also reflects on some themes more traversed in his thinking; namely, the nature of time and history and their openness to the future. The lecture’s gracious respondent was Alan Torrance, who takes on naturalism, temporalist accounts of time (‘the past is not ontologically annihilated by the so-called “passage of time”‘, Torrance argues), and, albeit too briefly, Moltmann’s presentation and use of the doctrine(s) of kenosis (a doctrine which I believe was/is too easily dismissed by some theologians who share Alan’s surname and which I would love to see Alan engage with more seriously at some stage). Undoubtedly, one of the most stimulating minds among Reformed theologians today remains that of Jürgen Moltmann. I hope to post a lecture by Moltmann soon, but here I simply wish to draw attention to three interviews that I discovered and enjoyed this morning. The first two happen to be pre-conference interviews. 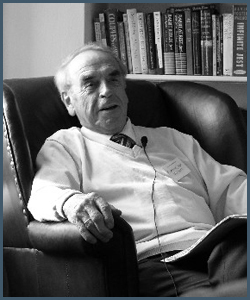 And in the lead up to BMS’s one-day Catalyst Live event, the organisers have shared a wee interview with Moltmann in which he comments on atheism, anti-intellectualism, fundamentalism, and the necessity for involvement in politics. Finally, there’s this interview on Bibel TV – Parts I and II. Revenge (‘keeping faith with the dead’) or Reconciliation (keeping Easter faith)? 2 May, 2011 2 May, 2011 by Jason GoroncyLeave a Comment on Revenge (‘keeping faith with the dead’) or Reconciliation (keeping Easter faith)? ‘The chief moral obstacle in the path of reconciliation is the desire for revenge. Now, revenge is commonly regarded as a low and unworthy emotion, and because it is regarded as such, its deep moral hold on people is rarely understood. But revenge – morally considered – is a desire to keep faith with the dead, to honour their memory by taking up their cause where they left off. Revenge keeps faith between generations; the violence it engenders is a ritual form of respect for the community’s dead – therein lies its legitimacy. Reconciliation is difficult precisely because it must compete with the powerful alternative morality of violence. Political terror is tenacious because it is an ethical practice. 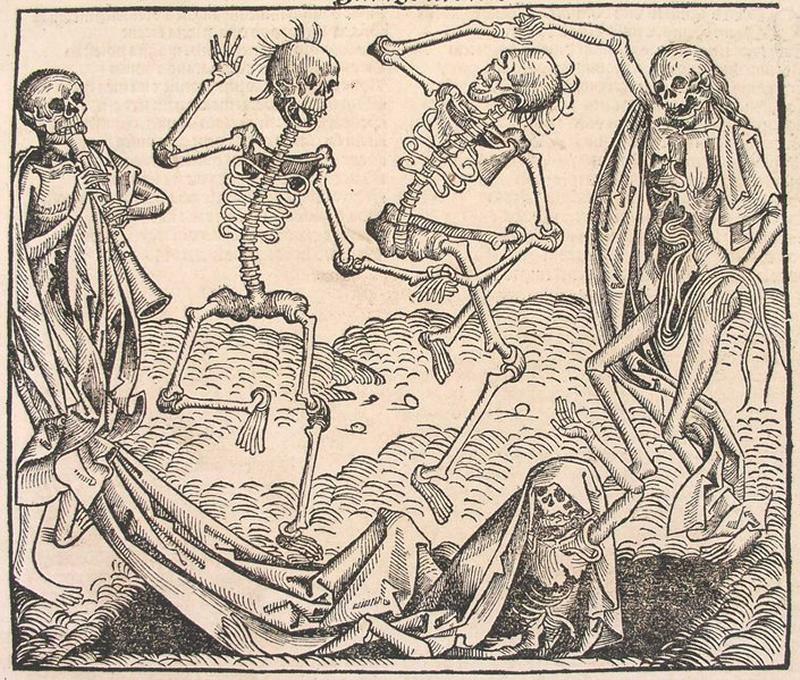 It is a cult of the dead, a dire and absolute expression of respect’. 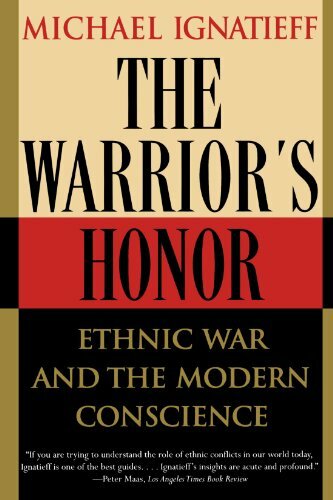 – Michael Ignatieff, The Warrior’s Honour: Ethnic War and the Modern Conscience (London: Chatto & Windus, 1988), 188. The Church, of course, is the child of the narrative at the heart of which is reconciliation, a narrative which is ‘difficult’, to be sure, but whose Author makes it possible to ‘from now on … regard no one from a worldly point of view’ (2 Cor 5.16), to live hopefully by the word that ‘in Christ God was reconciling the world to himself, not counting their trespasses against them, and entrusting the message of reconciliation to us’ (2 Cor 5.19), and to rejoice in the vocation of being ‘Christ’s ambassadors, as though God were making his appeal through us’ (2 Cor 5.20). Such is a narrative is difficult to live by because, as Ignatieff notes, it exists in relentless competition with ‘the powerful alternative morality of violence’. ‘The Easter faith recognizes that the raising of the crucified Christ from the dead provides the great alternative to this world of death. This faith sees the raising of Christ as God’s protest against death, and against all the people who work for death; for the Easter faith recognizes God’s passion for the life of the person who is threatened by death and with death. And faith participates in this process of love by getting up out of the apathy of misery and out of the cynicism of prosperity, and fighting against death’s accomplices, here and now, in this life. Weary Christians have often enough deleted this critical and liberating power from Easter. Their faith has then degenerated into the confident belief in certain facts, and a poverty-stricken hope for the next world, as if death were nothing but a fate we meet with at the end of life. But death is an evil power now, in life’s very midst. It is the economic death of the person we allow to starve; the political death of the people who are oppressed; the social death of the handicapped; the noisy death that strikes through napalm bombs and torture; and the soundless death of the apathetic soul. The resurrection faith is not proved true by means of historical evidence, or only in the next world. It is proved here and now, through the courage for revolt, the protest against deadly powers, and the self-giving of men and women for the victory of life. It is impossible to talk convincingly about Christ’s resurrection without participating in the movement of the Spirit “who descends on all flesh” to quicken it. This movement of the Spirit is the divine “liberation movement,” for it is the process whereby the world is recreated. So resurrection means rebirth out of impotence and indolence to “the living hope.” And today “living hope” means a passion for life, and a lived protest against death … Christ’s resurrection is the beginning of God’s rebellion. That rebellion is still going on in the Spirit of hope, and will be complete when, together with death, “every rule and every authority and power” is at last abolished (1 Cor. 15:24). The resurrection hope finds living expression in men and women when they protest against death and the slaves of death. But it lives from something different – from the superabundance of God’s future. Its freedom lives in resistance against all the outward and inward denials of life. But it does not live from this protest. It lives from joy in the coming victory of life. Protest and resistance are founded on this hope. Otherwise they degenerate into mere accusation and campaigns of revenge. But the greater hope has to take living form in this protest and resistance; otherwise it turns into religious seduction … Easter is a feast, and it is as the feast of freedom that it is celebrated. For with Easter begins the laughter of the redeemed, the dance of the liberated and the creative play of fantasy. From time immemorial Easter hymns have celebrated the victory of life by laughing at death, mocking at hell, and ridiculing the mighty ones who spread fear and terror around them. Easter is the feast of freedom. It makes the life which it touches a festal life. “The risen Christ makes life a perpetual feast,” said Athanasius. But can the whole of life really be a feast? Even life’s dark side – death , guilt, senseless suffering? I think it can. Once we realize that the giver of this feast is the outcast, suffering, crucified Son of Man from Nazareth, then every “no” is absorbed into this profound “yes,” and is swallowed up in its victory. Easter is at one and the same time God’s protest against death, and the feast of freedom from death. Anyone who fails to hold these two things together has failed to understand the resurrection of the Christ who was crucified. Resistance is the protest of those who hope, and hope is the feast of the people who resist’. (pp. 123–26). 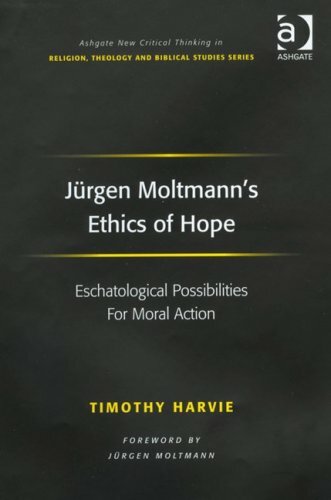 A review of Timothy Harvie, Jürgen Moltmann’s Ethics of Hope: Eschatological Possibilities For Moral Action (Ashgate New Critical Thinking in Religion, Theology and Biblical Studies; Aldershot: Ashgate, 2009). It was Karl Barth who, in his Ethik (1928), reminded us that Christian theology is always ethics, that ethics belongs to theology proper precisely because God makes himself responsible for us, and that ‘ethics as a theological discipline is the auxiliary science in which an answer is sought in the Word of God to the question of the goodness of human conduct’. It is of little surprise, therefore, that such a commitment is shared by one of Barth’s most prolific students, Jürgen Moltmann, whose own articulations concerning theological ethics remain valuable though, in his own words, ‘an unfinished task and an unfulfilled wish’ (p. ix). Timothy Harvie’s volume (a ‘slightly revised version’ of his doctoral dissertation submitted to the University of Aberdeen and supervised by Professor John Webster) represents an attempt to consider and extend an unfinished trajectory in Moltmann’s theology; namely, and appropriately, an ethics of hope. It is, in the words of its author, ‘not a piece of applied ethics engaging specific moral quandaries or the nature of Christian virtues’ but rather ‘an attempt to theologically describe the sphere of Christian moral action and the means by which this is enabled to take place’ (p. 3). Harvie makes it clear in the Introduction that his essay will argue that Moltmann does not begin with antecedent ethical presuppositions and then mould dogmatics to fit these concerns. Rather, ‘Moltmann begins with an investigation of theological concerns stemming from the biblical history and then attempts to articulate the moral relevance this theological conception has for the current social situation of humanity’ (p. 6). The book is divided into two parts. In Part I, Harvie attends to the christological, pneumatological and eschatological foundations for an ethics of hope, and offers readers (and particularly those unfamiliar with Moltmann’s oeuvre) an accessible entrée into a number of vistas fundamental to Moltmann’s theological project. Through four chapters, Harvie’s aim is to rehearse how Moltmann is principally concerned with articulating the Christian gospel, and subsequently concerned to point to how the Church’s convictions about the gospel inform her ethical assertions. 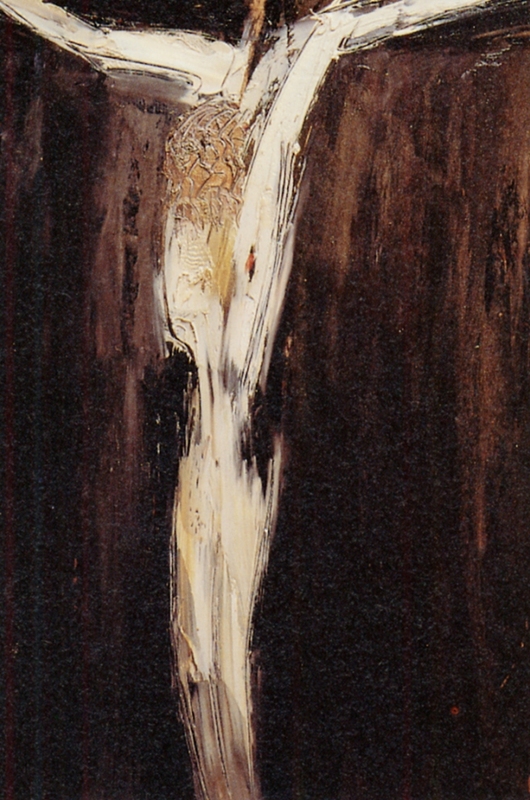 He opens with a chapter on hope and promise, noting that the generative thrust and unambiguous priority of Christian hope, for Moltmann, is birthed in the divine promise given in a particular locus in history, and creating and securing a new trajectory for history and for human existence: ‘In the midst of a history wrought with injustice, turmoil and sin, the promise of God (given definitively in the resurrection of Jesus Christ) secures a new future which contravenes the sinful status quo of the present with a new creative work of God for a redeemed cosmos. This new, creative work secured in the promise is a novum in history which moves towards the present’ (p.15). 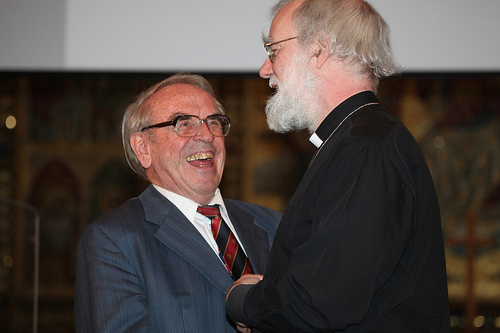 Harvie proceeds to cite Moltmann – ‘The simple prolongation of the status quo no longer provides a future for which it is worth living’ (p. 26) – and avers that eschatological hope grounded in the cross-resurrection means that Christian living becomes subversive, demanding not onlookers but, in Moltmann’s words, ‘combatants’ (p. 26). The promise of God in Jesus Christ creates in history an interval between promise and fulfilment, a Zwischenraum or ‘between-space’, which sets in motion a way of living adumbrated in the promised future but ‘enacted through the creative work of God in such a way that in Christ humans [i.e., the Exodus community, Exodusgemeinde] may now participate in this space … in contradistinction to the world’ (p. 28). This way of living is ‘life commensurate with the Kingdom of God’ (p. 36). The Kingdom of God, another topic of decided importance for Moltmann, is the subject of Chapter Two. Herein, Harvie outlines the way that Kingdom and christology are inextricably bound up together, and attends to the way that, for Moltmann, the Kingdom represents not only a positive description of the content of Christian hope but also ‘a foil to critique societal situations [Moltmann] perceives to be unjust’ (p. 40). Jesus’ embodiment of the Kingdom, it is noted, means table fellowship with sinners, liberating proclamation and praxis for the poor, and healing to the broken. Chapters Three and Four attend to the role that pneumatology and the doctrine of the trinity, respectively, play in Moltmann’s theology, and how each informs the ethical shape of his theology of hope. With clarity, Harvie outlines that while, for Moltmann, the trinitarian history of the divine life with the world begins with the history of the promise, a history which culminates in the death and resurrection of the Son, it is the faithful and historical efficacy of the Spirit which ‘constitutes the continuing presence of the Kingdom’ in both Church and world. ‘This’, he continues, ‘in no way denigrates the future horizon of Christian hope for the Kingdom, but rather structures the initial fulfilment of the divine promise, which creates a surplus of expectation and hope for the eschatological novum’ (pp. 57–8). He notes how, for Moltmann, those empowered by the Spirit are ‘led to be non-conformists with the unfulfilled present, which leads to death. The Church, through the work of the Spirit, is empowered to resist in its Zwischenraum of tension, to overcome death with life, violence with peace, and hate with love’ (p. 92). Harvie is critical of Moltmann’s emphasis on a ‘universal society’ (p. 85), arguing that such ambiguity blurs the distinction between the Spirit’s work in the Church and in wider society. In Chapter Four, Harvie gathers up many of the already-attended-to themes and brings them into dialogue with Moltmann’s exposition on the trinity, noting that the creature’s moral living does not equate principally to imitatio of the trine life so much as, by the Spirit, being ‘taken up into the divine communion as an-other … to participate in and live out of the divine love’ (p. 109). Herein, as Moltmann explains it, the ‘lived circulation’ (p. 118) which is the divine life has two kinds of openness: first, there is an intra-Trinitarian openness between the three persons; second, and implying no deficiency of being, the Trinity is open for communion with creation. ‘This divine openness’, Harvie suggests, ‘fundamentally alters the moral life of the Christian through justification and sanctification’ (p. 122). In an interesting conversation with work by Carl Schmitt and Richard Bauckham, Harvie notes how Moltmann’s thoroughly trinitarian theology creates an eschatological ethic which rejects both clerical and political monotheisms, and he follows Bauckham’s critique of Moltmann that the tendency to inadequately distinguish between the triune life in se and the social life of creatures has ‘no biblical basis’ (p. 128). Turning then to the way that creatures participate by the Spirit in the fellowship of love, Harvie considers how, for Moltmann, the notion of divine apatheia both sponsors a utopian hope and undermines the command to be ‘present in open, loving solidarity with those who suffer’ (p. 135). Harvie then turns – in Part II – to a more focused consideration of the ethical shape that the theological foundations he has outlined in Part I take in creaturely existence. He does this via three discussions on hope: on (i) time and space for hope, (ii) hope for humanity, and (iii) hope for the economy. In the first of these, what I found to be the most stimulating part of the book, Harvie draws upon Augustine and Bauckham to very helpfully explicate how Moltmann understands, and makes use of, christologically-determined categories of time over against, say, Kathryn Tanner’s ‘futureless eschatology’ (what Carl Braaten calls ‘eschatology sans eschaton’) and time’s modern myths, and how these then inform what Moltmann wishes to aver about the theo-ethical implications of such in the kingdom of God wherein space – conceived as both Zeitraum and Zwischenraum – is opened up for hope and moral action. 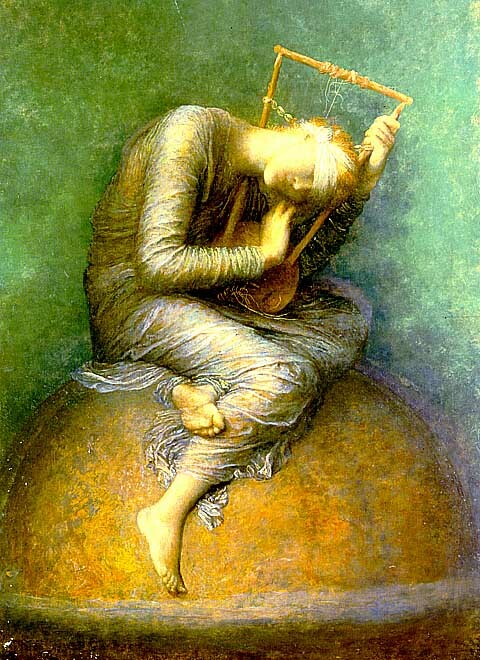 The present earthly time – the time of promise – is ‘characterized by expectation and anticipation of the novum which is anticipated in the promise and ensured by the divine faithfulness’ (p. 151) and, by the tension created between the divine-human covenant which existentially orients creaturely perspective to the future, sensitises covenant partners to the incongruous nature of their surroundings. 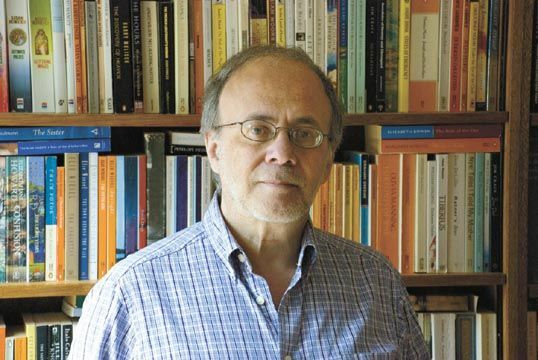 Contra Mark Lewis Taylor and Rubem Alves, Harvie notes that, for Moltmann, ‘the ethical space envisioned in a moral theology of hope is not simply the space of human structures where moral action is attempted through one’s own empowerment to one’s own end. Rather, it is a space created by the promise of God through the death and resurrection of Christ in which human structures are transformed by the efficacious work of the Holy Spirit to manifest the eschatological Kingdom. This space orients Christian moral action, through the divine promise, to the future. The result is that this space is then in tension with those structures, circumstances and actions which are not located within the Kingdom of God or brought about through the beneficent work of God through the Spirit’ (p. 167). Harvie turns, in the final two chapters, to the subjects of human nature, human dignity and human rights, and to outline how he understands Moltmann’s theology of hope might inform conversations about economics. He rightly notes that for Moltmann, the imago Dei depends upon, and says more about, God than it does upon any human trait per se, that the imago Christi is paramount for an ethics of hope, and that ‘it is precisely at this Christologically focused point within eschatological history that the Zwischenraum of tension … is understood to constitute the sphere of Christian moral action’ (p. 172). He also rightly notes that ‘the claim that human beings have equal and intrinsic worth is difficult to maintain as a universal presupposition apart from God’s revelation as creator and redeemer of the world’ (p. 181). These concluding chapters, however, are disappointingly conservative in their application of the ethic that Moltmann’s thought invites. Harvie proposes no genuine protest to the structures of that world put to death in the crucified God, and very little hint of the novum created by the radical interruption of Jesus’ resurrection and the life that this event births. The praxiological content of the eschatological Zwischenraum which is characterised as life in the Spirit, in other words, is left drastically underdeveloped. 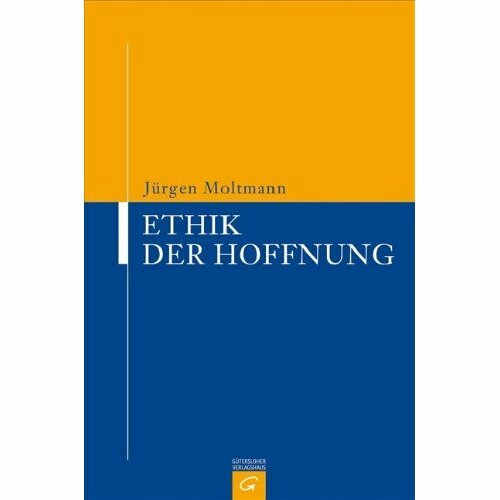 The ethical implications of Moltmann’s professional project call for a more radical engagement – or what Ernst Wolf calls a ‘creative discipleship’ – of the ecclesia than Harvie outlines here. Moreover, as Moltmann avers in Theologie der Hoffnung, we must speak not only of the historic transformation of social and public life but also of the suffering, self-surrender, self-expenditure and sacrifice that attend such ‘day-to-day obedience’, and which mark a different way from the glories of self-realisation and the miseries of self-estrangement arising from ‘hopelessness in the world of lost horizons’ – ways disclosed to the laos tou theou in the future of the crucified God in whose life they participate, and to whom they look for the coming of the kingdom in fulness. At the end of the day, Harvie tumbles into the very trap that Hauerwas outlines (and which Harvie cites on p. 183): ‘One of the things that bothers me about such discourse is the designation “us,” meaning Christians, and “them,” meaning the poor. Such language inherently presupposes that Christians have no convictions that might not make them poor. As a result we privilege our place as rich Christians who can justify our being rich because we are concerned about justice’. While the essay is unduly repetitive, it is amiably unencumbered with distractive engagements with secondary literature and side issues. Where these are relevant, they are appropriately attended to, and that so as not to sidetrack the reader from the main line of enquiry; namely, Moltmann’s own presentation of a foundation for an ethic grounded in trinitarian space-making and orientated toward the future in the kingdom of life and love. And while the ethical implications drawn by Harvie are, to my mind, drastically undercooked, there can be little doubt that those interested in exploring a rich theological foundation for Christian ethics will find much here of value. ‘The modern time myth can be seen as an ideology of the powerful, for whom a future continuous with the present represents the continuation and extension of their position of dominance and privilege. (Here the critique can be applied to the time myth only in its liberal progressivist, not its Marxist revolutionary form.) 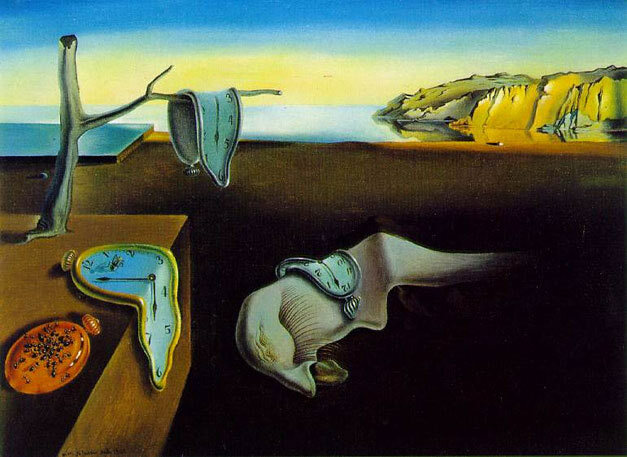 A model of time which requires the future to be extrapolated from the past and the present, which denies alternative possibilities, radical changes, real novelty, unpredictable irruptions in the historical process, is a model in the interests of those who must suppress alternative possibilities if they are to maintain their own power in the future. It is the ideology which justifies their own power to determine the future … Thus the one-sided secular millenarianism of the modern world is a myth of power which provokes among the powerless and the dominated the hope of an apocalyptic end to the present order and an alternative future …’. – Richard Bauckham, ‘Time and Eternity’, in God Will Be All in All: The Eschatology of Jürgen Moltmann (ed. Richard Bauckham; Minneapolis: Fortress Press, 2001), 170. ‘Their memetic nature means that a tradition will adapt and change in order to be valuable and be passed on. What distinguishes tradition from historical cultural artifact is relevance to the current culture. What is traditional is not correct, nor perfect, it is merely useful enough to keep alive as an idea’. He then asks what this has to do with coffee. His answer: ‘Espresso is Italy in 1950 would be further away from espresso in Italy in 2010 than espresso in the USA in 2010. I hope, and strongly suspect, that espresso in Italy today will be abhorrent to an Italian in 2060. 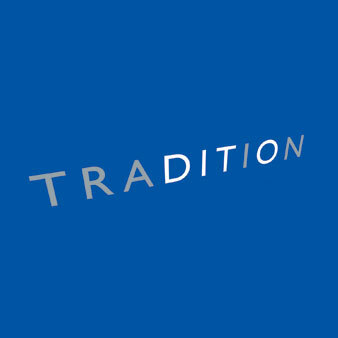 Tradition must evolve’. I love this way of thinking about tradition (and coffee) as dynamic. Indeed, one nature of tradition is that the retelling of traditions typically births stories which themselves become part of the tradition itself. In other words, traditions are living things, birthing realities. So, for example, in his book, Celtic Christianity: Making Myths and Chasing Dreams, Ian Bradley helpfully recalls how (through 6 epochs or distinct movements of what he calls ‘Celtic Christian revivalism’) the tradition has co-opted and even bastardised Celtic faith and created a mythology with serves its current interests, whether political, ecclesiological or missional. 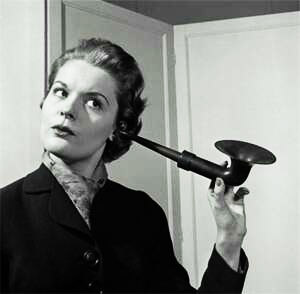 ‘When we learn to listen to the tradition faithfully, not assuming that we already know what we shall hear, but instead allowing earlier voices their own integrity, we will inevitably be surprised by the strangeness of much what is said. At that point we will be faced with a choice: we might take the modern way of patronising earlier voices by assigning them to their ‘place in history’, and so pretending that they have nothing to say to us; or we might believe that to listen to these voices in all their strangeness, and to regard their positions as serious, and live, options is actually a theological imperative. Perhaps the most two obvious areas where this will be true are sexual ethics and biblical interpretation …’. – Steve Holmes, Listening to the Past, 86. ‘It is to be admitted on all sides, I believe, that religions are deeply traditional in character-to their glory or shame-and do not find transformation over and out of their past an easy act, or a welcome one. Indeed, it is this very traditionalism that has made observers of religion-sociologists or anthropologists-keen to compare or conflate religions with the social ideals and structures that they mirror and guide. It is not simply the reductionism of Ludwig Feuerbach, or rather only a caricature of him, that stands behind the association of religion with social practice and ideal. Instead, Emile Durkheim and Max Weber see in religion what historians have long recorded: the antiquarian nature of religious dress and language; the preservation of older, sometimes ancient custom in ritual and rite; the fondness for the old and customary in guilds and furnishings; the retention of laws, texts, and titles from an earlier age that slowly become the cultural and technical terms of the religious world; and finally, the backwardlooking posture of religious teaching that loves its own past and sees in those ancient teachings wisdom that shapes and instructs the new … Tradition is not simply the church’s past. It is not even its living or continuous past. Tradition is both a body of teaching, practice, and lore, and an attitude toward that body. Tradition – to echo a favorite phrase of the Protestant scholastics – is both the piety by which we honor the past and the piety that we honor. It is a communion with the saints and their witness to God that makes them our contemporaries in the life of faith. “The past,” William Faulkner wrote in a haunting phrase, “is not dead; it is not even past.” So we might say of tradition. It possesses a quality of the present that resides in our midst, not in fact because of our recollection or use of it, but rather because as a cloud of witnesses, it participates in the eternal history of God made present in the Spirit to us now. Tradition is itself, in this way, a part of the trinitarian and christological dogmas of the church, and draws its power from the divine reality on which it depends and is given grace to echo’. – Katherine Sonderegger, ‘On the Holy Name of God’, Theology Today 58:3 (October 2001): 387, 389. Q&A with Miroslav Volf and David Ford – COMING SOON! ‘Mit der »Theologie der Hoffnung« begründete Jürgen Moltmann 1964 seinen internationalen Ruf. Die politische Botschaft dieses Buches: Christliche Existenz und gesellschaftliches Handeln gehören zusammen. Jetzt folgt endlich die lang erwartete »Ethik der Hoffnung«. Darin entwirft Moltmann die Grundlinien einer Ethik der Hoffnung, die für ihn leitend waren und sind. Er macht deutlich, wie aus einer Perspektive der Theologie der Hoffnung ethische Sichtweisen, ethische Urteile und konkretes Handeln aussehen könnten. Nach einem grundlegenden Kapitel über den Zusammenhang von Eschatologie und Ethik folgen drei Schritte: Moltmann fragt nach einer Ethik des Lebens in Abgrenzung gegen eine Ethik des Todes, nach einer Ethik der Erde angesichts der ökologischen Herausforderungen der Gegenwart und schließlich nach einer Ethik der Gerechtigkeit angesichts der wachsenden gesellschaftlichen und globalen Ungleichgewichte im sozialen Miteinander. Dies ist kein Lehrbuch, aber ein auf ethische Praxis ausgerichteter Entwurf mit Handlungsvorschlägen in Hoffnungshorizonten’. It’s almost as exciting as this. I’m so miffed that I can’t be there. Thanks to all who participated in our latest Who Said It? competition here at Per Crucem ad Lucem. There were definately some intriguing suggestions. The correct answer, however, is Richard Bauckham, and the quote comes from his book Moltmann: Messianic Theology in the Making (Basingstoke: Marshall Pickering, 1987), 100. While there were no winners this time, those who guessed Moltmann deserve an extra chocolate. We shall play again soon. St John’s Nottingham are developing a very exciting project – Interactive Multimedia Timeline: Exploring Christian theology and intellectual history. Rick Floyd offers a good defence of blogging in response to Stefan McDaniel’s case against it. A new journal to keep an eye on. A new must-have from Moltmann’s pen. Robert Fisk on America performing its familiar role of propping up a dictator. 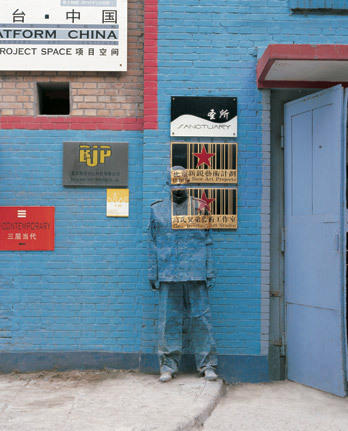 And check out the amazing Liu Bolin … The Invisible Man. Halden Doerge is on[to] something about the divine attributes. Ben Myers shares two splendid excerpts from his forthcoming AAR paper on J. Louis Martyn’s Galatians Commentary. Finally, a few years back I posted 12 wee reflections for Advent. I [probably] won’t be repeating this practice again this year but these Advent Reflections are still available online for those who might like to use them. And yeah, don’t forget to cast your vote in our Who said it? competition. To believe means to cross in hope and anticipation the bounds that have been penetrated by the raising of the crucified. If we bear that in mind, then this faith can have nothing to do with fleeing the world, with resignation and with escapism. In this hope the soul does not soar above our vale of tears to some imagined heavenly bliss, nor does it sever itself from the earth. For, in the words of Ludwig Feuerbach, it puts ‘in place of the beyond that lies above our grave in heaven the beyond that lies above our grave on earth, the historic future, the future of mankind’. It sees in the resurrection of Christ not the eternity of heaven, but the future of the very earth on which his cross stands. It sees in him the future of the very humanity for which he died. That is why it finds the cross the hope of the earth. This hope struggles for the obedience of the body, because it awaits the quickening of the body. It espouses in all meekness the cause of the devastated earth and of harassed humanity, because it is promised possession of the earth. Ave crux – unica spes! But on the other hand, all this must inevitably mean that the man who thus hopes will never be able to reconcile himself with the laws and constraints of this earth, neither with the inevitability of death nor with the evil that constantly bears further evil. The raising of Christ is not merely a consolation to him in a life that is full of distress and doomed to die, but it is also God’s contradiction of suffering and death, of humiliation and offence, and of the wickedness of evil. Hope finds in Christ not only a consolation in suffering, but also the protest of the divine promise against suffering. If Paul calls death the ‘last enemy’ (I Cor. 15.26), then the opposite is also true: that the risen Christ, and with him the resurrection hope, must be declared to be the enemy of death and of a world that puts up with death. Faith takes up this contradiction and thus becomes itself a contradiction to the world of death. That is why faith, wherever it develops into hope, causes not rest but unrest, not patience but impatience. It does not calm the unquiet heart, but is itself this unquiet heart in man. Those who hope in Christ can no longer put up with reality as it is, but begin to suffer under it, to contradict it. Peace with God means conflict with the world, for the goad of the promised future stabs inexorably into the flesh of every unfulfilled present. If we had before our eyes only what we see, then we should cheerfully or reluctantly reconcile ourselves with things as they happen to be. That we do not reconcile ourselves, that there is no pleasant harmony between us and reality, is due to our unquenchable hope. This hope keeps man unreconciled, until the great day of the fulfilment of all the promises of God. It keeps him in statu viatoris, in that unresolved openness to world questions which has its origin in the promise of God in the resurrection of Christ and can therefore be resolved only when the same God fulfils his promise. This hope makes the Christian Church a constant disturbance in human society, seeking as the latter does to stabilize itself into a ‘continuing city’. It makes the Church the source of continual new impulses towards the realization of righteousness, freedom and humanity here in the light of the promised future that is to come. This Church is committed to ‘answer for the hope’ that is in it (I Peter 3.15). It is called in question ‘on account of the hope and resurrection of the dead’ (Acts 23.6). Wherever that happens, Christianity embraces its true nature and becomes a witness of the future of Christ’. – Jürgen Moltmann, Theology of Hope: On the Ground and the Implications of a Christian Eschatology‎ (New York/Evanston: Harper & Row, 1967), 20–22. 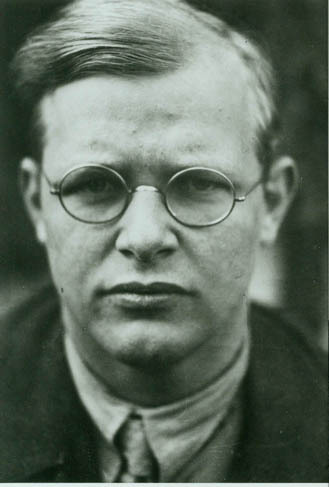 ‘At the end of the war, both seminaries [established by the Confessing Church] were reopened in order to make it possible to study theology both at state universities and in independent faculties. I still think this double strategy was a wise one, for one never knows from which quarter the freedom of theology may be threatened’. – Jürgen Moltmann, A Broad Place: An Autobiography (trans. Margaret Kohl; Minneapolis: Fortress, 2008), 71. Since the Middle Ages, a conception of death and resurrection became fixed in Christian thinking that is deeply unchristian: the pictorial world of heaven and hell, the conception of a Last Judgement that rewards good works and punishes bad deeds to order the transition to the world to come. According to this notion, God’s judgement only knows two sentences: either eternal life or eternal death, either heaven or hell. If one asks what will come of the good visible creation, the earth and God’s other earthly creatures, the answer is everything will be burnt to ashes. This world will not be needed any more when the blessed will see directly in heaven without mediation by other creatures. This idea of judgement is incomprehensible and hostile to creation. Are God the Judge and God the Creator different gods? Does the judging God destroy the faithfulness of the Creator to his creatures? This would be God’s self-contradiction or different gods. The Biblical trust in God is destroyed as well as trust in Jesus. The judging Christ with the two-edged sword has nothing to do with the preacher of the Sermon on the Mount Jesus of Nazareth healing the sick and forgiving sins. The idea of destructive punishment is an extremely godless picture. However, there is another conception of world judgement. Injustice is a scandal. Victims do not die away. All the murderers do not find any rest. The hunger for justice remains as a torment in a world of violent crying. 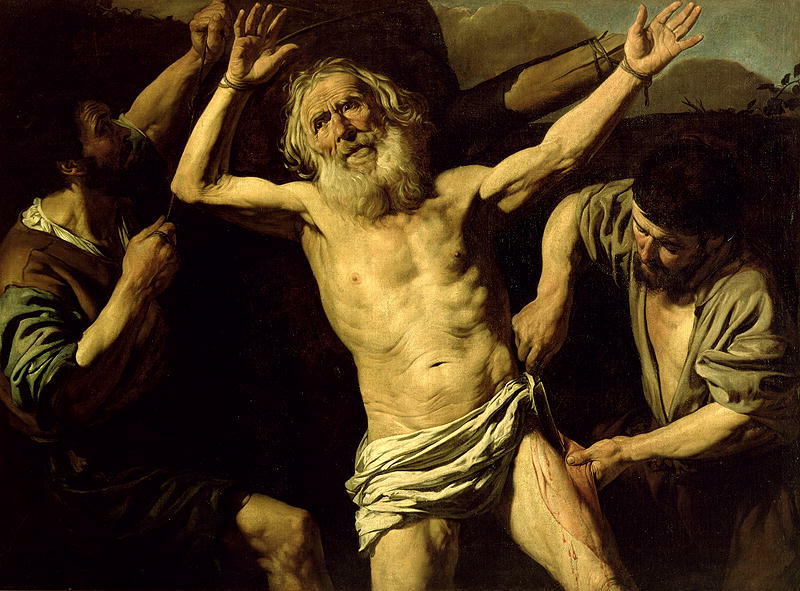 The powerless and oppressed hope for a world judge “who creates justice for those suffering injustice.” Israel’s psalms of lamentation are an eloquent example of true creative justice. God’s righteousness will “create” justice for victims, raising them from the dust and healing wounded life. Later and under foreign influences, a universal criminal judge was made out of this saving Liberator in the biblical scriptures who judges good and evil and does not ask about the victims any more. A deed-oriented moral judgement according to the standard of retributive justice came out of a victim-oriented expectation of saving justice. Correcting this aberration means christianizing the idea of judgement so it is oriented in Israel’s original experience of God’s creative, saving and healing justice. The New Testament offers staring-points. The New Testament understands Judgement Day as the “day of the Son of man” on which the crucified and resurrected Christ will be revealed and all the world before him. Both will appear out of their concealment in the light of truth, the Christ now hidden in God and the person hidden from him/herself. The eternal light will be revealed to them. What is now hidden in nature will be transparent because persons are physical and natural beings connected with the nature of the earth. We cannot be separated from the nature of the earth, neither in the resurrection nor in the end-time judgement. Christ will be revealed as the crucified and resurrected victor over sin, death and hell, not as the avenger or retaliator. Christ will be revealed as the Everlasting One and leader of life. He will judge according to the justice he proclaimed and practiced through his community with sinners and tax collectors. Otherwise no one could recognize him. God’s justice is a creative justice. The victims of sin and violence are supported, healed and brought to life by God’s righteousness. The perpetrators of sin and violence will experience a rectifying transformative justice. They will change by being redeemed together with their victims. The crucified Christ who encounters them together with their victims will save them. They will “die off” in their atrocities to be “reborn” to a new life. Helping and supporting the victims and straightening the perpetrators as the victory of God’s creative justice over everything godless, not the great reckoning with rewards and punishments. This victory of divine justice leads to God’s great day of reconciliation on this earth, not to the division into blessed and damned. Seen this way, the Last Judgement is not the end of God’s works. It is only the first step of a transformation out of transitoriness into intransitoriness. The new eternal creation will be created on the foundation of justice. Because the judgement serves this new creation of all things, its future-oriented justice is creative and not only a requiting justice referring to the past. It was the mistake of Christian tradition in picture and concept, piety and teaching to only see the judgement over the past of this world and not God’s new world through the judgement. If a social judging occurs in the Last Judgement, it is in truth a cosmic judgement because the coming Christ is also the cosmic Christ. Already in the psalms, YHWH is called “to judge the earth.” All shattered relations in creation must be straightened out so the new creation can stand on the solid ground of justice and abide in eternity. All creatures should share in eternal being and in God’s eternal vitality. That will be a fundamental change of the cosmos and life. “God will indwell all things and be present in all things.” Then the nothingness will be destroyed and death annihilated. The power of evil will be broken and separated from all creatures. The misery of separation from the living God – sin – will end. Hell will be destroyed. Then the reign of glory will begin. What is the Goal of Christ’s Judgement? The goal of helping victims and rectifying culprits is the triumph of God’s creative justice over everything godless in heaven, earth and below the earth, not the great reckoning with wages and punishments. This victory of divine justice leads to God’s great day of reconciliation on this earth, not to division of humankind into blessed and damned and the end of the world. On Judgement Day, “all tears will be wiped away from their eyes,” the tears of suffering and the tears of repentance. “There will be no mourning, crying or pain” (Rev 21,4). Thus the Last Judgement is penultimate, not ultimate and is not the end of God’s works. It is only a first step in a transition or transformation from transitoriness to intransitoriness. The new eternal creation created on the foundation of justice is definitive. Because the judgement serves this new creation of all things, its justice is a healing, creative justice re-establishing life according to this future, not a retaliatory justice referring to the past. The judgement serves the new creation, not sin and death as the great reckoning. It was the error of the Christian tradition in picture and idea, piety and teaching to see only judgement on the past and not God’s new world beyond the judgement and thus not believing the new beginning in the end. The practice and endurance of evil are not always apportioned to different persons and groups of persons. Victims can also be perpetrators. In many persons, the perpetrator side and the victim side of evil are inseparably connected. The knowledge that the coming judge will judge us as perpetrators and as victims, reject the Pharisee in us and accept the sinner in us and reconcile us with ourselves. Judging victims and perpetrators is always a social judging. We do not stand isolated and dependent on ourselves before the judge as in human criminal courts or in nightly pangs of conscience. The perpetrators stand together with their victims, Cain with Abel, the powerful with the powerless, the murderers with the murdered. Humanity’s story of woe is inseparably joined with the collective history of culpability. There are always unsolved and unsolvable social, political and personal conflicts where some become perpetrators and others victims of sin. As in the Auschwitz trials and the South African truth commission, victims have a long tormented memory while perpetrators have only a short memory if they have a memory at all. Therefore the perpetrators depend on the memories of their victims, must hear their reports and learn to see themselves with the eyes of their victims, even if this is frightening and destructive. In conclusion, what practice follows from this future expectation? How do we visualize Christ’s coming justice? An American friend asked his Baptist grandmother about the end of the world and she replied with the mysterious spine-chilling name “Armageddon.” According to Revelation 16,16, this is God’s end-time battle with the devil. Today the struggle of good against evil is generalized with the final victory of the good at the end. From this idea of the end, American fundamentalism developed a fantastic modern end-time struggle scenario. George W. Bush Jr. invented such a scenario, justifying “friend-enemy thinking” as a basic political category. To this end, he conjured the “axis of evil” reaching from Iraq to Iran and North Korea. “America is at war,” he announced after “September 11” and “whoever is not for us is against us.” America remains “at war” since no state had attacked the US but the criminal Islamic unit Al-Qaeda. In what war? The apocalyptic war called Armageddon has already started! The judgement expectation common to Christianity and Islam has a very similar effect on the present. If the end of the world is God’s judgement over believers and unbelievers with the twofold end: believers in heaven and unbelievers in hell, the present will inevitably be ruled by religious friend-enemy thinking: here the believers in “God’s house” and there the unbelievers in the “house of war.” Since there is no hope for unbelievers, they can be punished here with contempt or terror. Unbelievers are enemies of believers since they are God’s enemies. Anticipation of the Last Judgement by separating people into believers and unbelievers and possibly persecuting unbelievers as God’s enemies is wrong because it is godless. God is not the enemy of unbelievers or the executioner of the godless. “For God has consigned all men to disobedience, that he may have mercy upon all” (Rom 11,32). Thus all people of whatever faith or unbelief must be seen as befriended by God’s mercy. God loves them whoever they are. Christ died for them and God’s spirit works in their lives. Thus we cannot be against them. The all-embracing hope in God’s future explains this boundlessness of love. Why should we take seriously the faith, superstition or unbelief of others as God’s mercy? That was a theme for Christendom in the atheistic East Germany (DDR) state. This cannot be otherwise in our dealings with people of other religions that must be marked by God’s unconditional love. The difference between believers, persons of other faiths and unbelievers are real but are annulled in God’s mercy with everyone. so the world can see. so it hears your voice. that no one can resist. everything that has lost its way or gone astray. Open the gates to the nations. Create light in the dark night! Let us be one in him. Here’s my posts so far on a theology of the child in historical perspective. It’s a series that I’ve enjoyed doing and which I’d like to return to at some stage (but not for a wee while). By way of drawing a conclusion to a series of wee posts on exploring a theology of childhood (see previous posts on John Calvin, Friedrich Schleiermacher, Karl Barth, David Jensen, Karl Rahner and Tony Kelly) I turn here to German Reformed theologian Jürgen Moltmann. In his essay ‘Child and Childhood as Metaphors of Hope’ [Theology Today 56, no. 4 (2000), 592-603], Moltmann observes the difference in how parents or educators speak about the child, how a child speaks about herself, and how adults recall their own childhood. These three ways of speaking of childhood can also be referred to as (1) ‘pedagogical childhood’, (2) ‘child’s childhood’, and (3) ‘future childhood’. 1. A concerned parents and educators view of childhood. 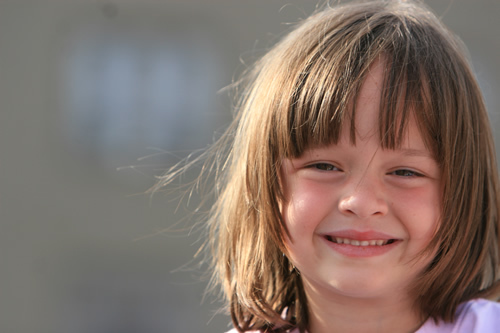 From the view of concerned parents and teachers, childhood is an age that is meaningful and good in itself on the one hand; on the other hand, it is a stage that is to be overcome by the child’s own development, through training provided by adults and education provided by the society. Finally, parents have to bring up their children, so that they can become something and can be made fit for a life in the world of adults … The open future of children has been pressed into the prescribed adult world through parental and educational measures. Childhood has been viewed as the ‘evolving’ stage of human existence, while old age seems to be the ‘devolving-stage of human existence’. The model of full humanity thus has been the grown-up human being between the ages of twenty-five and sixty-preferably, of course, the ubiquitous man ‘in his best years’. ‘every epoch is immediate to God’, since the Divine strives to manifest itself in every epoch, and cannot be manifest in its entirety in any one single age. The same is valid for the stages of human life. 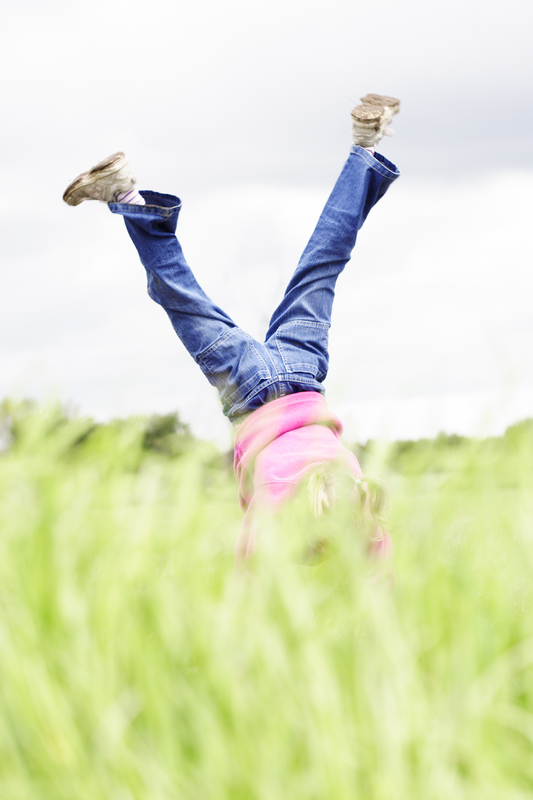 Children, adolescents, adults and seniors find meaning in each stage of their lives. Every lived moment has meaning for eternity and represents ‘life in abundance’. Thus, every child and youth has a ‘right to their own present’. Even a child who dies early could have had an ‘abundant’ life. Life in abundance is not measured in terms of length, but in terms of the depth of life experience, a quality that will never be reached by a mere quantity of years lived and time spent. Life that is abundant in every present moment has to be affirmed and respected by others, by parents and educators, and should not be sacrificed on the altar of progress. 2. A child’s view of childhood. What childhood is for children or how children view their own childhood remains a mystery almost impossible for adults to access since our experiences get confused with both our desires and fears … Perhaps we only become conscious of our childhood experience when we are no longer children, since we can only recognize that from which we are already removed. I think that childhood is outlined and determined by the fact that we are no longer ‘in the safety’ of our mother’s womb, but not yet ‘independent’ … On the other hand, we recall the dependencies, the nightly fears, the powerless dreams of one’s own all-powerfulness and the empty days. We also call to mind how small we were and how big the father, how helpless we were and how omniscient our mother, as well as how the bigger children always seemed already capable of everything. And still we experienced and performed everything ‘for the first time’. With boundless amazement, we would follow the flight of a fly and would interrogate our parents with unanswerable questions of ‘why’. How entranced we were in our games, reacting spontaneously and with unpremeditated laughter and tears. The darkness of the lived moment” would often be very dark and would not become light, either before or after. Surely before we were ‘school children’, we were ‘playing children’ but even then we were watched by adults and we adopted their attitudes and opinions in order to please them. Still, we will have to find some way to respect the interior perspectives of a child’s experience: otherwise all of our analyses read our own projections onto the child. 3. 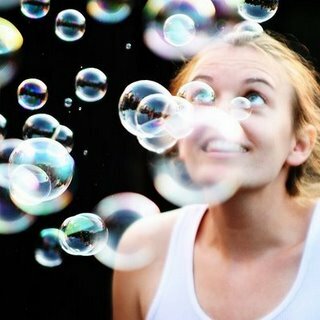 An adult’s view of their childhood or the child in themselves. Since there is always more in our beginnings than we can actually bring forth, given the complexity of our circumstances, childhood and youth come to be seen as the glorified dawn of life. When we think of our youth and of all we might have been, we discover the future in our past. Our past ‘beginnings’ become the source of our future, in such a way that a ‘future childhood’ is constructed. This childhood awakens deep longings inside of us: the longing to be secure, to feel warm; the longing to experience life as a mystery one more time, the longing to experience wonder; the longing for a new beginning; a longing for the child within that wants to be born anew, so that the miracle of life may begin yet again. From this perspective, the beginnings of life seem pure and good. 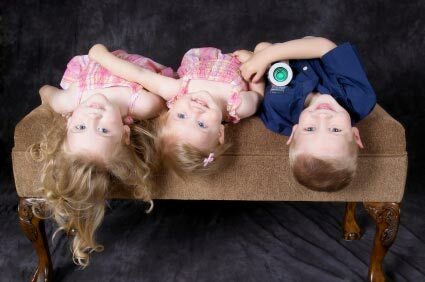 Consequently, children always seem innocent to us: their eyes mirror dreamy innocence. Yet, when is it that humans become capable of guilt? The dream of a sexually innocent childhood may only be the reversal of the old, terrible doctrine of original sin, which taught that children were conceived and born in sin and therefore had to grow tip under humanity’s hereditary burden. But from this perspective of ‘future childhood’, ‘innocence’, ‘new beginning’, and access to a ‘world of unlimited possibilities’, we construct childhood as a metaphor of hope.